Childhood obesity rates are on the rise, as many children prefer video games and internet use to sports and other physical activities. Sleep habits can predict which children will spend more time in front of a screen. A study published in the October issue of the journal SLEEP found a link between lack of physical activity and bedtime. Kids with late bedtimes and wake times have a higher risk of becoming obese, and are half as likely to engage in physical activity. This group is about three times more prone to exceed the recommended screen time for children. 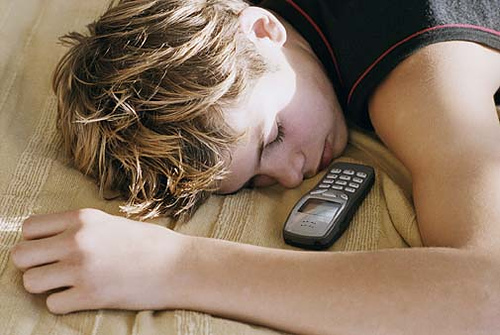 Researchers examined the sleep habits of more than 2,000 Australian children from ages 9 to 16. Over four days, researchers observed the children’s weight and use of free time. Even though the subjects had different bedtimes, each received about the same amount of sleep per night. The authors noted that mornings are more suited for physical activity, while night offers prime-time programming and social networking opportunities. Teenagers tend to prefer late bedtimes because of a shift in the timing of their circadian clocks. Combined with early school start times, night-owl tendencies can also lead to sleep deprivation, behavioral problems and lower grades and test scores. Learn why teens sleep habits are unique and how your circadian rhythms change as you age. Many of the problems seen in childhood could be improved with a good night's sleep. One of the first questions I ask when I see a child with inattentiveness and/or hyperactivity is "how much sleep does the child get?"